Incredible Lowcountry home with gas-lit front porch in the beautiful community of Oldfield. This home has recently been extensively remodeled adding appx 1,150 sqft of living space. The home features heart pine floors, open kitchen with Fisher & Paykel appliances. Plantation shutters in great room with a gas masonry fireplace. Utility area features a mud room along with Miele washer and dryer. Very large screened back porch with tv, ceiling fans and Bahama shutters. New 3-car garage with fabulous guest quarters above that offers 2 bedroom, sitting area, bathroom and kitchen area. You must see this home to fully appreciate what it offers. A Sanctuary of Relaxation awaits at 7 Rice Mill where a wrought iron gate welcomes you to blooming gardens, a tranquil water feature and a rocking chair front porch where a gas lantern invites a Low Country way of life. This 3,182 Sq Ft home was constructed by Reclamation By Design and is beautifully sited on a .6 acre golf view lot. A 334 Sq Ft screened porch is perfect for enjoying nature, entertaining friends or just quiet reflections. With 3/4 BR's, 2.5 BA's, gourmet Kitchen, spacious Master Suite, separate Dining Room and private Den/Office, this 2.5 Car Garage PLUS numerous other upgrades makes this a perfect destination to call home! Beautiful southern architecture in the popular Lakeside Village Section of Oldfield. One of the larger homes in the village with 5 bedrooms, 4 and a half baths, and an additional guest suite over the detached garage. Extremely nice trim and finishes give this home a very low-country feel. Within walking distance to Oldfield's most used amenity, The Sports Club puts this home in one of the desirable locations in the neighborhood. Unbelievable home and EXCEPTIONAL PRICE PER SQ FT VALUE in Lakeside Village at Oldfield. With a 2012 expansion to the home, 95 Great Heron Way now boasts 5 spacious bedrooms and multiple living/gathering spaces. With a first floor master adjacent to home office/library, both first and second floor laundry facilities, a large walk-in attic, and outdoor grill area complete with masonry fireplace, the features of this home cannot be replicated elsewhere for this price per sq foot. The front of the home faces west, affording spectacular sunsets across both Goose Lake and the dedicated open space ideal for afternoon games, pet walks, etc. Location, Location, Location. These Oldfield Rice Mill Golf Cottages seldom come on the market. One of the few properties in Oldfield allowed to be in Oldfield's short-term rental pool. The cottage is in a fantastic location with a very short walk to the Oldfield Golf Club Restaurant and clubhouse. Also a very short walk to the golf driving range and short game practice area. Perfect home for a family or for a second home in an attractive village setting. 3 bedroom, 3.5 baths with master on first floor. Upstairs includes 2 bedrooms each with a bathroom and large walk in closet and an office/TV area. Only a short walk to the fitness center, tennis and pools. High end finishes with numerous improvements including 11" baseboards, trey ceilings, new easy to maintain Brazilian hardwood. Two(2)high efficient furnaces/with 5 inch UV light media filters that eliminate pollen/mold/mites/bacteria and additional 2 parking pads. up to 6 cars can park! Lots of natural light! Enjoy this comfortable, easy to maintain home. Great lakefront location with Oldfield's Lakeside Village. Fish in your front yard or walk a short distance down the walking path to Oldfield's pools and fitness center. This is a move-in ready single level home with very nice finishes and little ongoing maintenance. 154 Oldfield Way is just 1 of 60 homesites located on the island of Oldfield and the only homesite currently offered for sale. Stunning panoramic views of both Lower Post Lake & Oldfield's signature golf hole #12 are offered from this .60 acre site. The sporting lifestyle offered at Oldfield is 2nd to none in the Lowcountry and offers amenities and activities for all including deep water access along the Okatie River for boating, fishing & kayaking, sports club with both indoor and outdoor pools, tennis, equestrian and a Greg Norman golf course. Rarely do Oldfield homesites in the most exclusive area of Oldfield (the Island) come on the market for under $150,000. This homesite features 3/4's of an acre with beautiful panoramic views of the 14th and 15th fairways as well as distant views of Eagle Lake. Just a short walk to Oldfield's Exclusive River Club and Outfitters Center, as well as 3 community docks. This is a must see homesite in one of the most beautiful settings in the community! Extended view of the 9th fairway. Property has a lot of spectacular Live Oaks. Easy walk to the Clubhouse. Build your dream home on this almost half acre,private home site in the heart of Oldfield.Northeast exposure is wonderful for sitting on your back porch enjoying your morning coffee.Only one of two remaining homesites on picturesque Grebe Lake.Ready to build on - 3400 Sq Ft Home Design complete and through Architectural Review Process.Tree & Topo available.Oldfield offers superb amenities including clubhouse,fitness area, pools (indoor and out) tennis,equestrian center,outfitters center along with deep water access on the Okatie River. Golfers have the option of joining one of Greg Normans finest designed golf courses.Priced to sell! The history of Oldfield shows that Indigo Plantation Road is the most sought after street in the neighborhood. This homesites boasts over half an acre with fantastic lake views over Grebe Lake. You will enjoy catching Bass, Bream, Bluegill, and Catfish right in your own backyard. Oldfield, it's summer camp 365 days per year. One of the finest golf home-sites available on the market! Panoramic views - centrally located w/quick access to all Oldfield amenities, this large .65 acre lot offers an abundance of building options. Enjoy community preserve out front & sweeping views of the 8th fairway in the rear. Premier location close to cul-de-sac allows for privacy and limited road traffic. Experience an active lifestyle at Oldfield Plantation at their convenient Wellness Center (outdoor/indoor pool & fitness, tennis), community dock & Outfitters Center, multiple clubhouses, equestrian, nature trails & beautiful Greg Norman 18 hole golf course with river/marsh views! 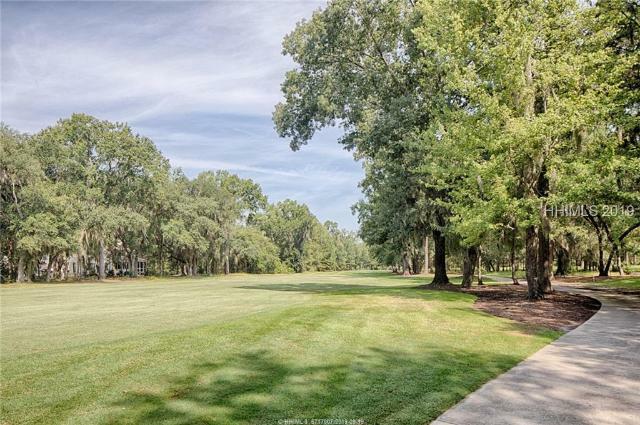 Fabulous opportunity to build your Lowcountry dream home on one of the most private settings in Oldfield with a protected wooded preserve in the back and community preserve in the front! Offering 0.51 acres with partial views of Upper Dam Lake, this homesite allows you to enjoy the benefits of living in what Audubon International has designated a GÇ£Neighborhood for NatureGÇ¥. Oldfield represents the epitome of the Lowcountry sporting life with activities for all: a Greg Norman golf course, tennis, fitness center, boating & kayaking on the Okatie River, equestrian pursuits, indoor & outdoor pools, walking trails, and much more. Location, location, location. On a quiet street, this great building site is located on the beautiful 9th fairway of Greg NormanGÇÖs masterpiece, and walking distance to the Clubhouse. Priced very competitively, this one wonGÇÖt last long at this value offering.